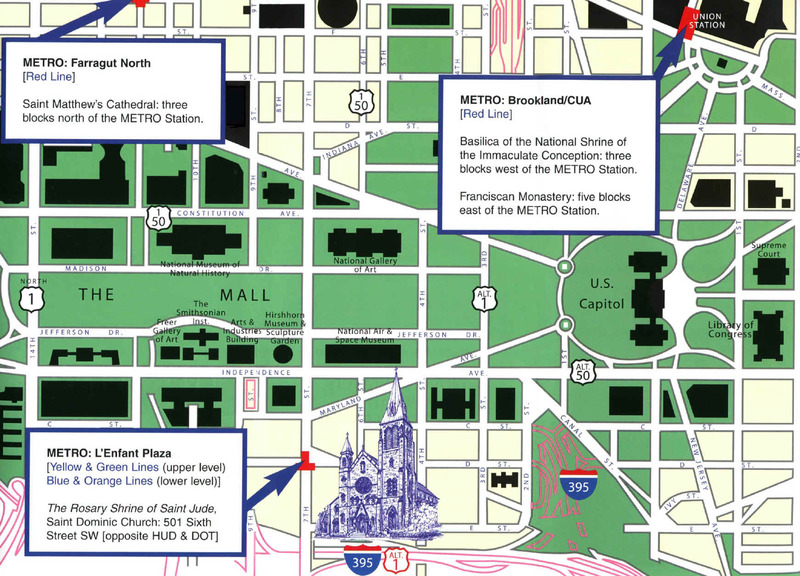 The side of the Church and Dominican Priory are on E Street, SW across from the Department of Transportation and Housing and Urban Development The city of Washington is divided into four quadrants centered on the capital building. Numbered streets increase farther from the capital. Street names are alphabetical with single syllables preceding double and triple. The states’ avenues, however, have no pattern.